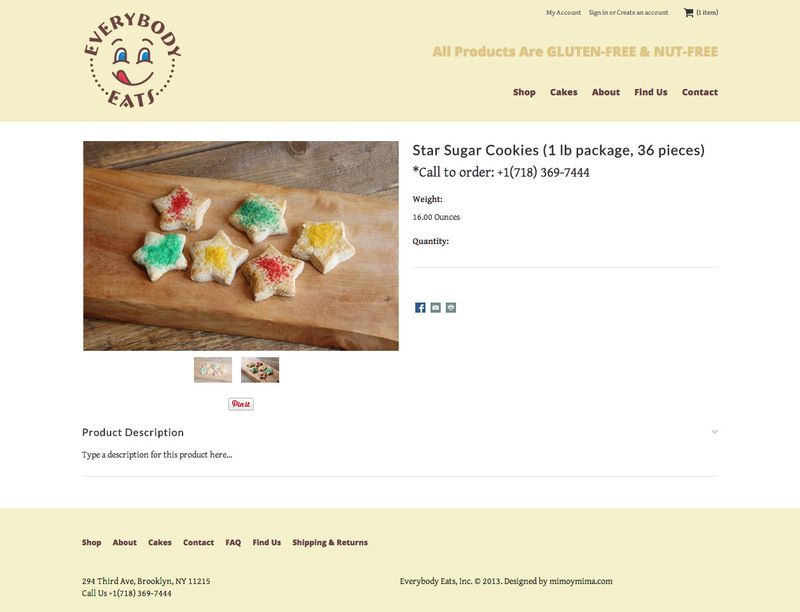 Everybody Eats is a gluten-free and nut-free bakery. 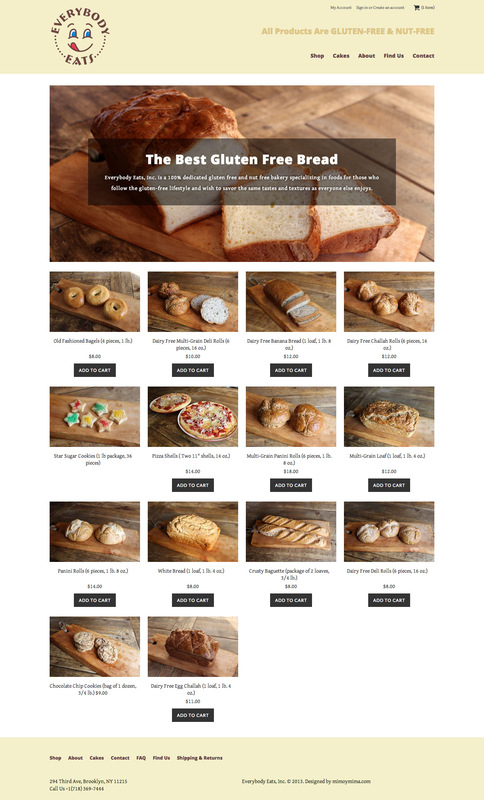 We created their first online store in 2006 and just re-designed and re-launched their store to kick off 2015! We also tried our hands at tabletop photography with this project and did the product photography in-house. Just a thank you note. The website is working great, people love it, no BS and straight to the point!